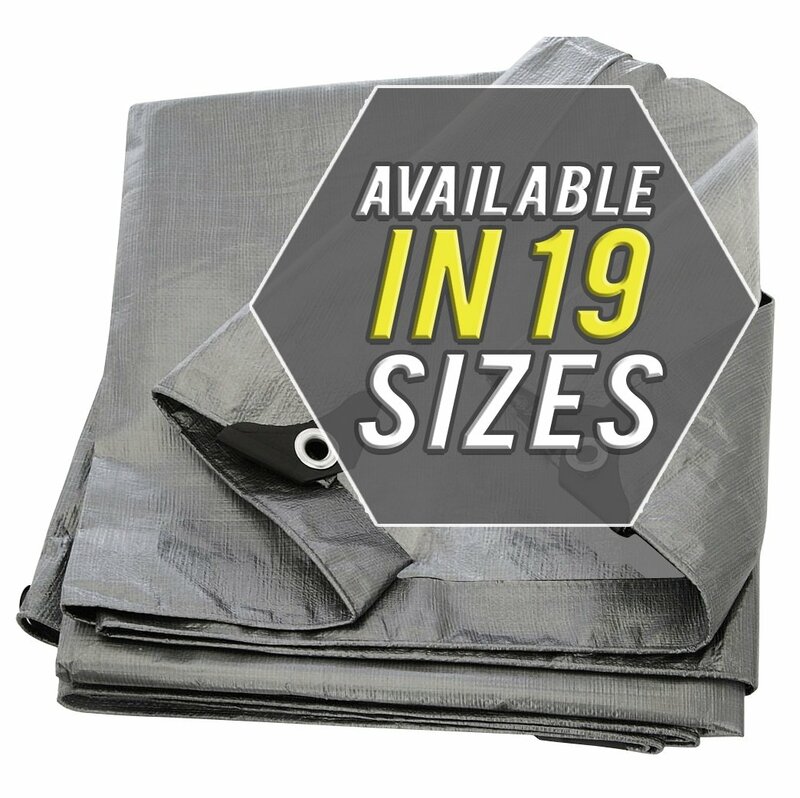 If you don’t already have a Heavy Duty Waterproof 8 x 10 tarpaulin for use with your backyard and DIY tasks, you should consider one. It has so many practical uses. The 8 by 10 is large enough for many jobs, and small enough to fold away without taking up much storage place. I even keep one in my car. I first bought when I was spring-cleaning the backyard shed. everything until the shower passed. It’s also useful for when I’m working up a ladder, for collecting dropped debris or for keeping tree clippings in one place to be easily tidied away later. See which of these 5 tarps suits you best. Made from Heavy Duty Industrial Polyethylene. Also available in 10 other sizes. 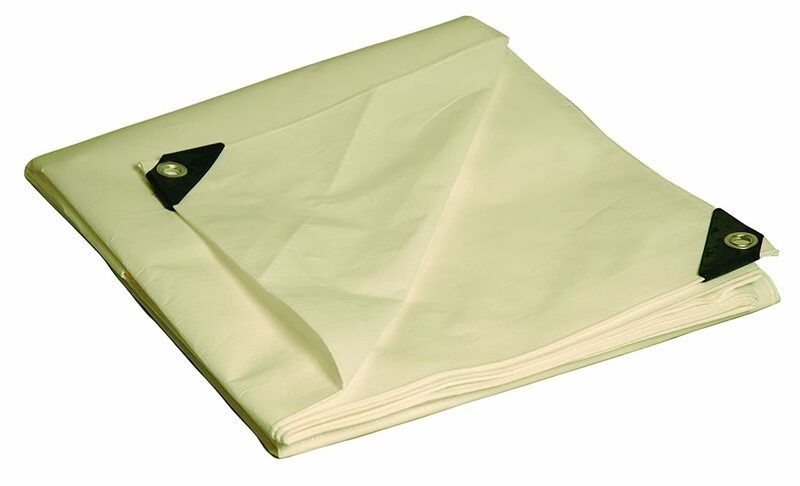 Heavy duty 11/12mm tarpaulin from Harpster Tarps. Has heavy duty double laminated coating. Colors: Blue green or silver. Made from 18 oz heavy duty green vinyl. 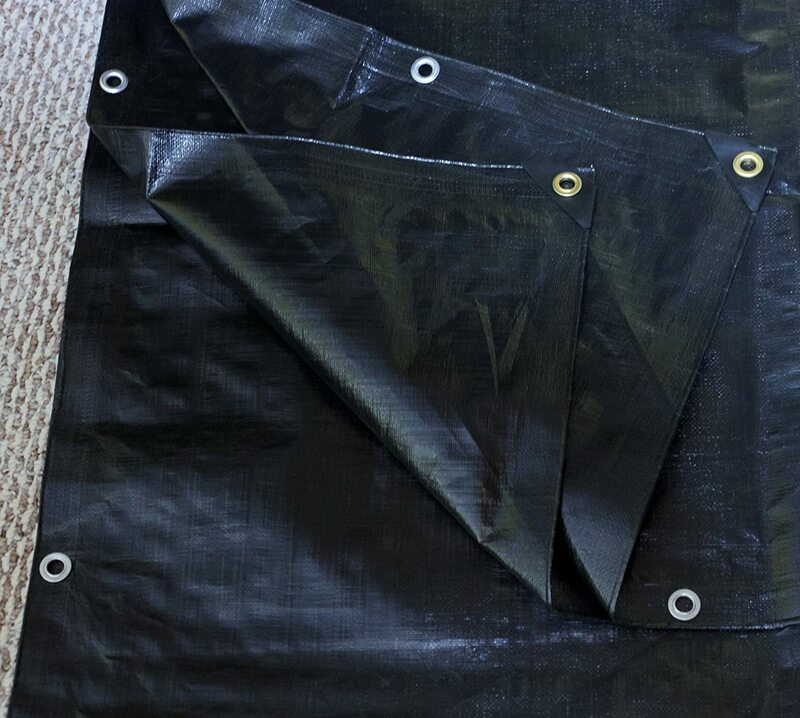 Heat sealed seams with grommets every 24 inches. 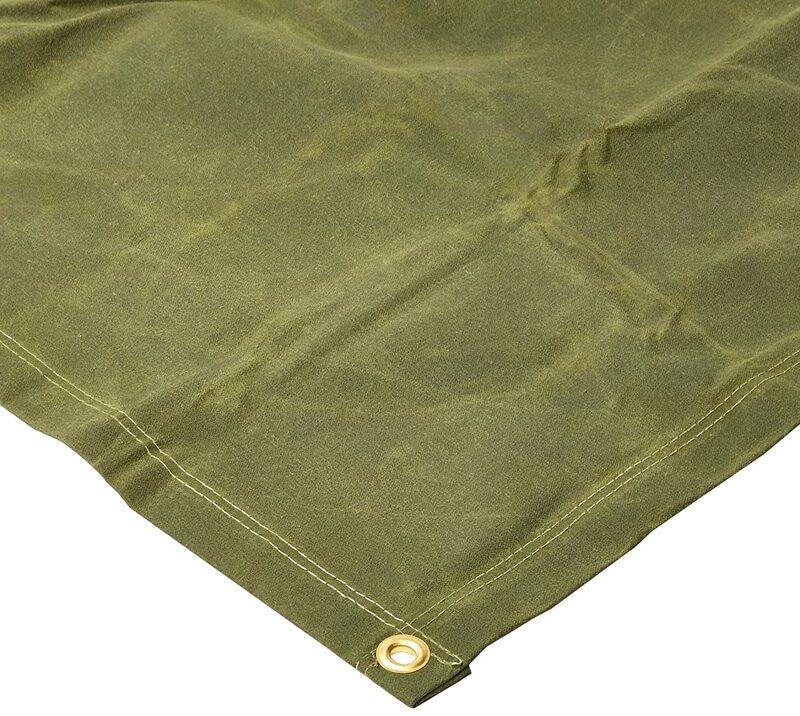 Abrasion resistant, double thick hems.